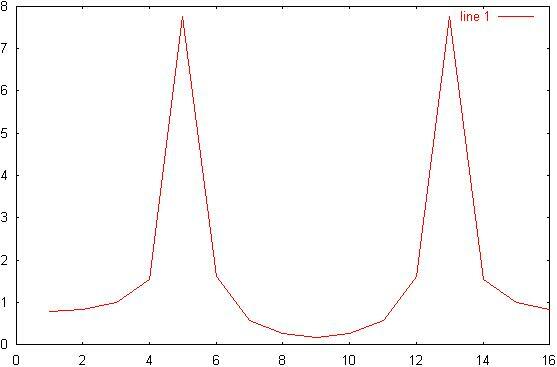 This lab will investigate the use of the Fast Fourrier Transform to derive the spectra of an arbitrary signal in discrete time. For some of the transforms, windowing will be employed to reduce spectral leakage. 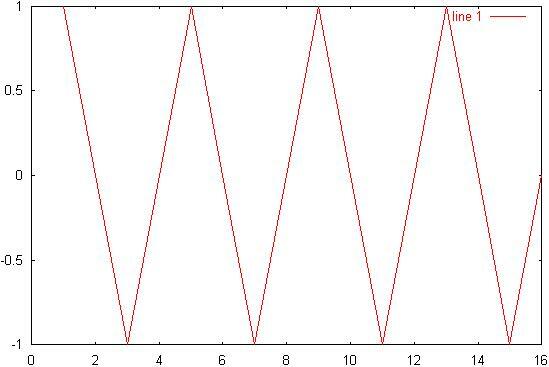 1)	Generate a sixteen sample sine wave where w = ws/4 using "x=cos(2*ip*n/4);" where "n=0:15"
3)	Using fft, generate and plot X, the Fourrier transform of the signal. 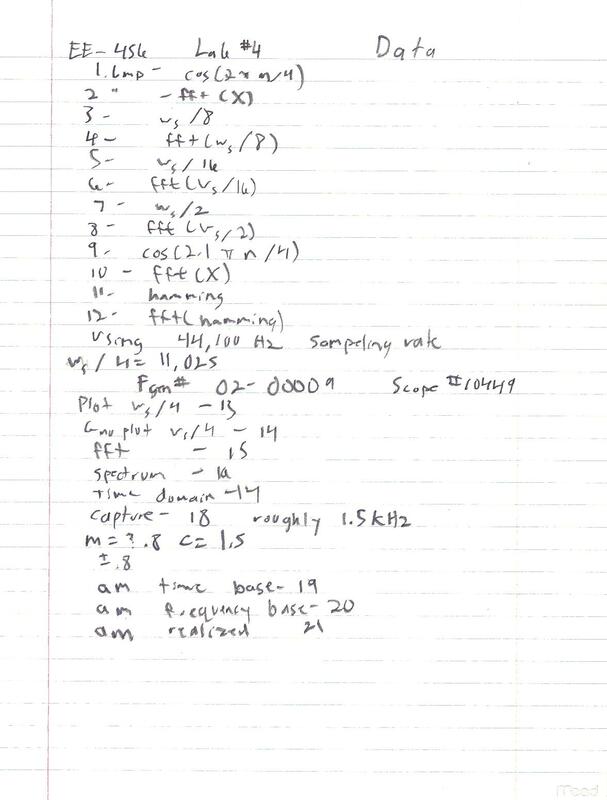 4)	Repeat steps 2 and 3 for frequencies ws/8, ws/16, and ws/2. 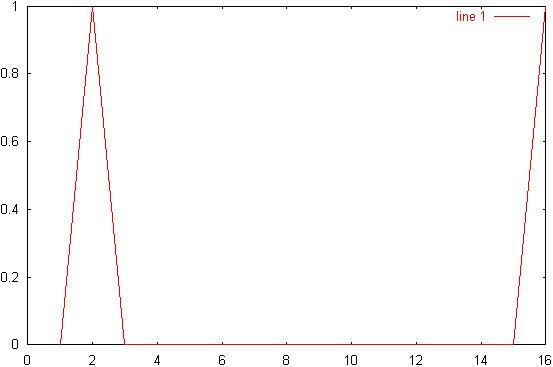 5)	Describe the difference for the last case where w = ws/2. 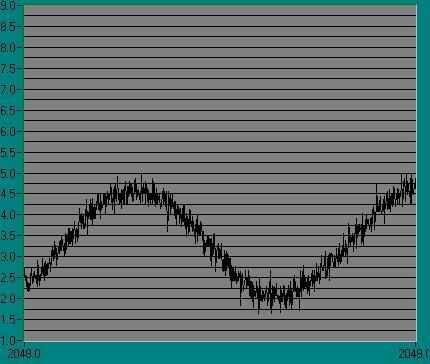 6)	Generate a signal where w = 2.1*p/4. 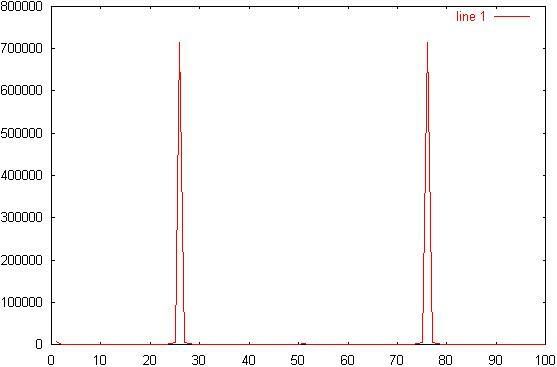 8)	Illustrate the spectral leakage. 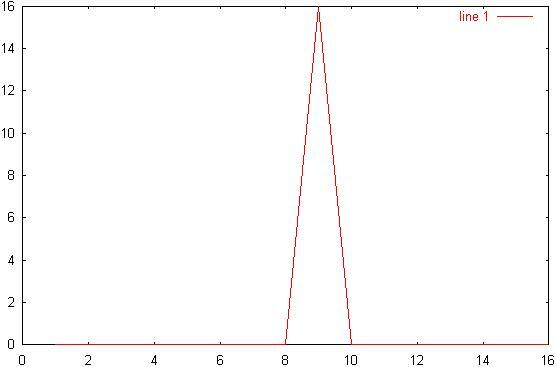 9)	Apply a Hamming window to the time-domain signal using "x2=x. 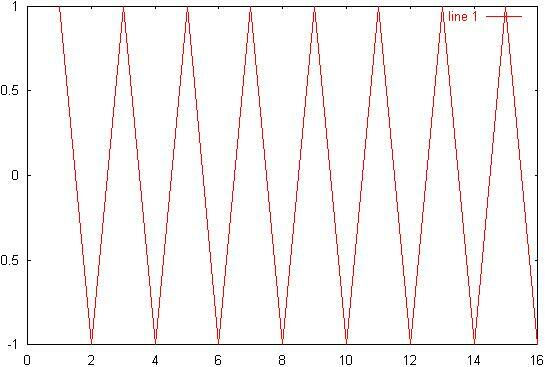 *hamming(16);"
10)	Plot the new signal. 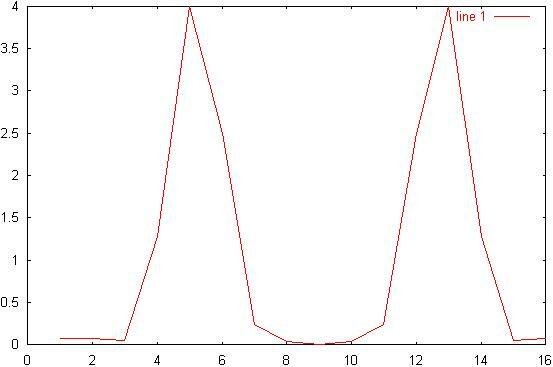 11)	Generate and plot the spectrum of the new signal. 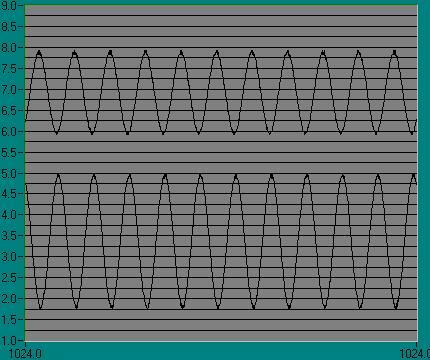 13)	Set the function generator to generate a 25KHz signal. 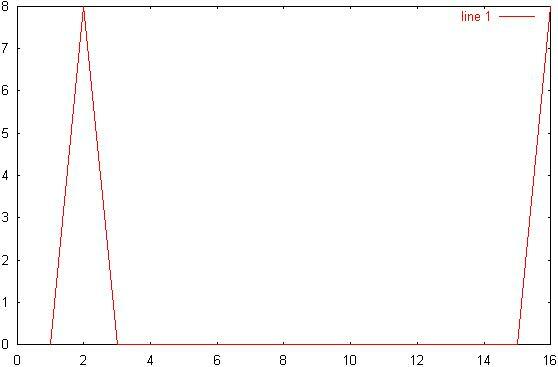 15)	Enter command "x=ad(100);" to capture 100 samples. 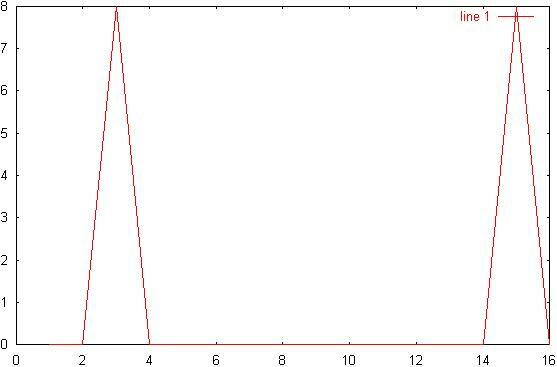 16)	Find and plot the resulting spectrum, it should be similar to the spectrum of the signal where w = ws/4. 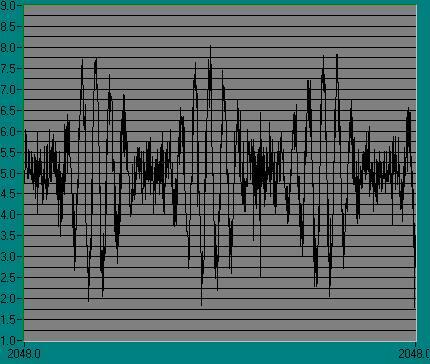 21)	Record the resulting waveform. 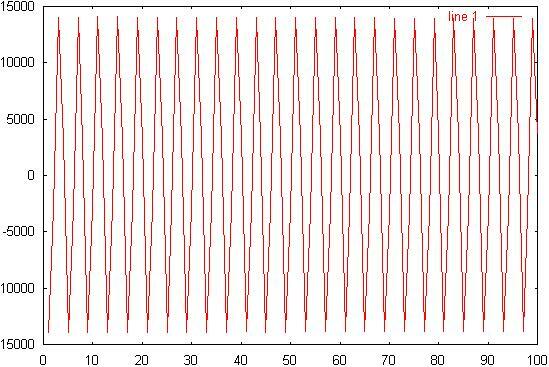 22)	Find the frequency of the resulting signal, it should be near 6KHz. 23)	Create an array X that contains the spectrum to an AM signal where wc = ws/8, wm = ws/64, and m=.75. 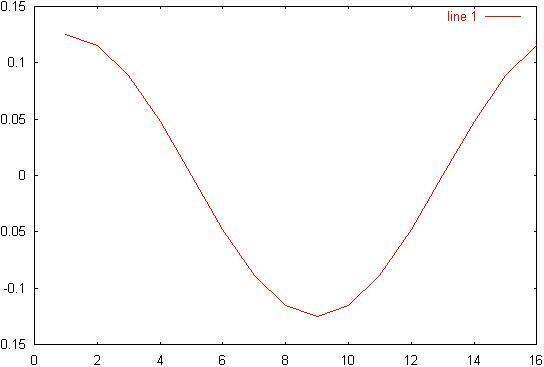 25)	Generate a time-domain signal from the spectra. 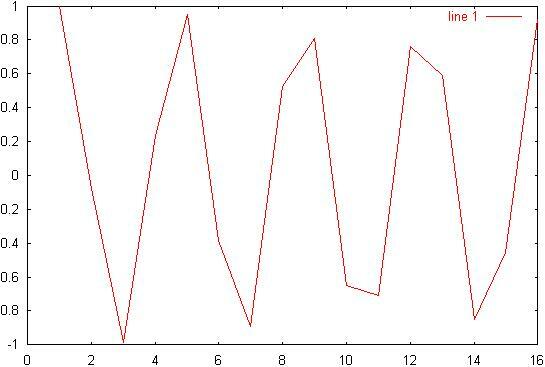 26)	Plot the time-domain signal. 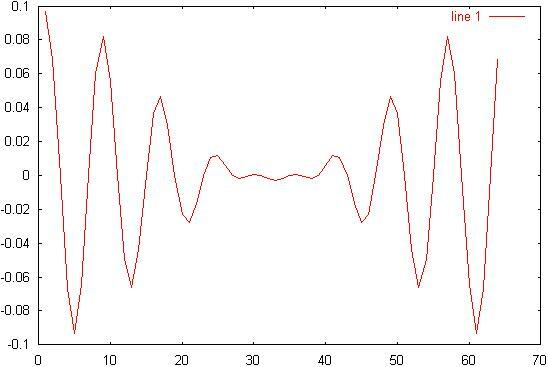 28)	Record the resulting waveform. 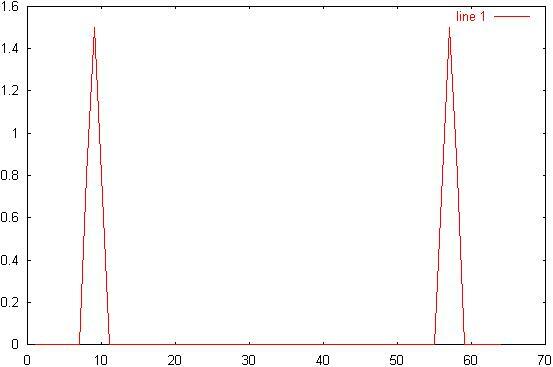 1)	Q:	Given a 1024 sample spectrum, X, where X(24) = 100 and X(108) = 200, where would the complimentary peaks be in the array? 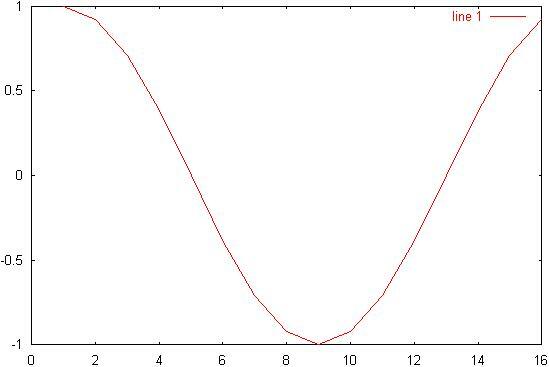 2)	Q:	What would the time-domain signal be for the spectrum in Q1? 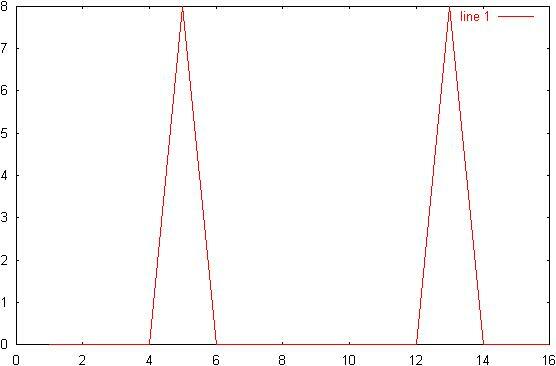 3)	Q:	Implement a frequency-domain low-pass filter with a cutoff frequency of 6.4KHz where the sampling rate is 25.6KHz, include the capture and reproduction. 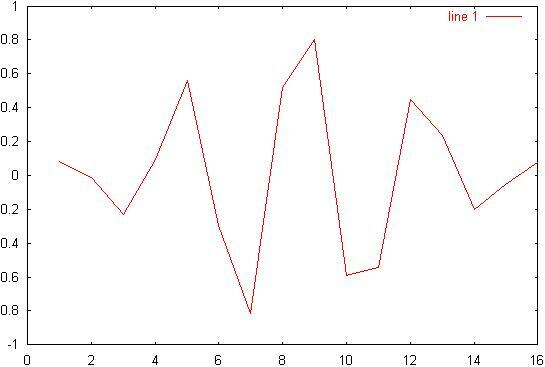 This lab has demonstrated the ability of the Fast Fourrier Transform to transform a signal from the time-domain to the frequency domain. Also, this lab has demonstrated the ability of the hamming window to reduce spectral leakage. The hamming window did not, however, totally eliminate spectral leakage. Also, the AM spectrum looks to be in error. 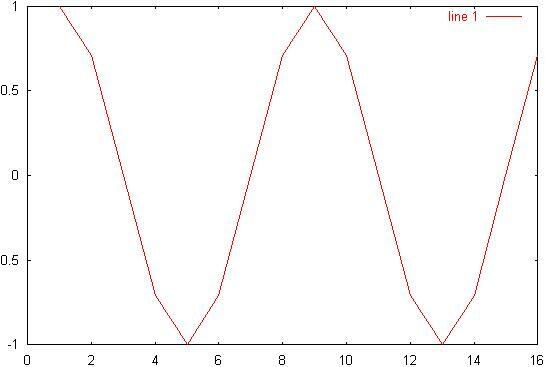 I believe the reason that the AM spectrum looks incorrect is that the amplitude of m, which was arbitrarily set at .8, happened to be in the slope of the carrier, and therefore, the point did not show. For review of signal spectrum generation, please see the log portion of the attachments.